Are your kids ready for a fun STEM challenge? STEM activities invite kids to use cross-disciplinary skills from Science, Technology, Engineering, and Math to solve a basic problem. By using inquiry and solution-based challenges at home or in the classroom, kids will develop skills to apply to problems in their everyday world. STEM activities do not have to be complicated, but they do need to challenge kids to use critical thinking skills. Come join us for a seasonal and FUN scarecrow engineering challenge to help your own kids build skills and gain new knowledge! 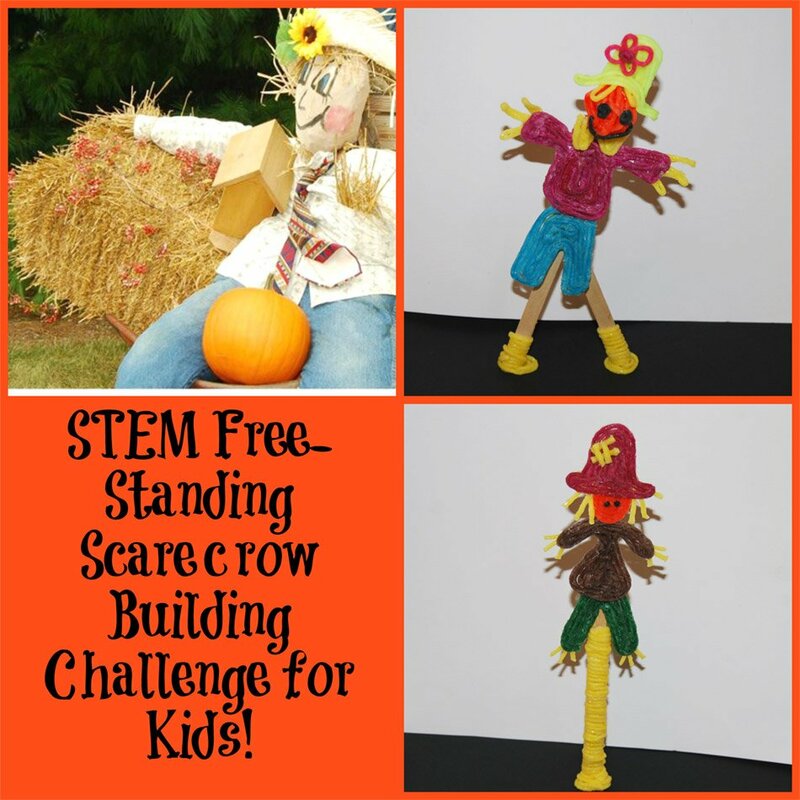 STEM Education Scarecrow Building Challenge for Kids! Background Information for Parents and Teachers: Scarecrows derive their name from the duty they perform. A scarecrow is designed to scare birds or other animals from harvest fields or gardens. Humans were the original “scarers” in the fields. When many humans died during the plaques, scarecrows began to replace humans to scare animals and birds. Today, farmers will often hang pie tins or other noise makers from the arms of the scarecrow. 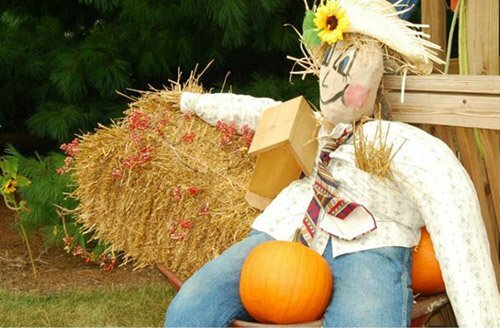 The noise helps in keeping animals and birds from eating the fruits of the harvest – the scarecrow is the decorative host. Note: This lesson is intended for kids in 3rd-6th grades, but it can be adapted for use with younger kids. 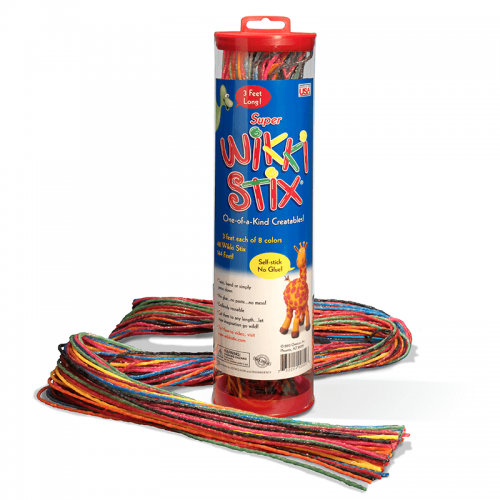 For younger children, invite them to create a Wikki Stix scarecrow (not free-standing). Read The Little Old Lady Who Was Not Afraid of Anything by Linda Williams. 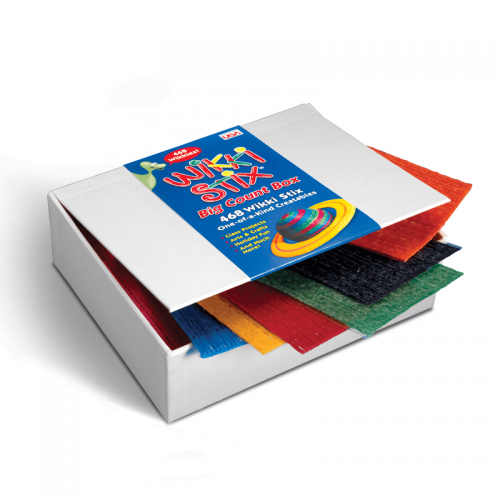 Challenge the kids to create the various parts of the scarecrow in the story with corresponding colors of Wikki Stix. Be sure to take pictures as the kids construct each part. Work together to assemble a whole scarecrow from the various created parts. The photographs make a great class book to re-tell the story and to document learning. Science – kids will use skills within the scientific method (observing, communicating, comparing, organizing, and relating) while planning, constructing, and documenting learning in the scarecrow challenge. Technology – kids will use digital technology to document learning. 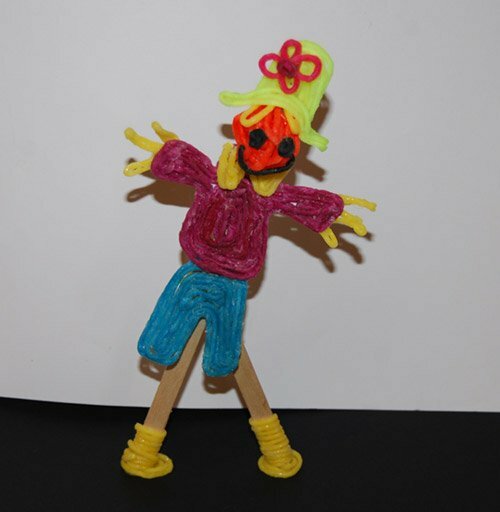 Engineering – kids will engineer a free-standing scarecrow using only the allowed supplies. Math – kids will explore lines, shapes, patterns and mathematical relationships as they work to plan and engineer the free-standing scarecrow. One printable challenge directions sheet (print here – download the pdf file of challenge directions here) for each team or individual. The challenge is to plan and build a free-standing scarecrow (must stand without human support) with only the supplies above. Kids do not have to use all supplies, but no more will be given. Time limit is 25 minutes. 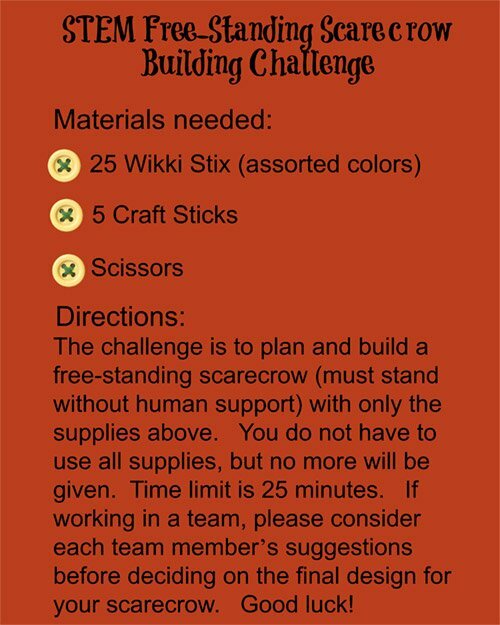 If working in a team, the group should consider each team member’s suggestions before deciding on the final scarecrow design. 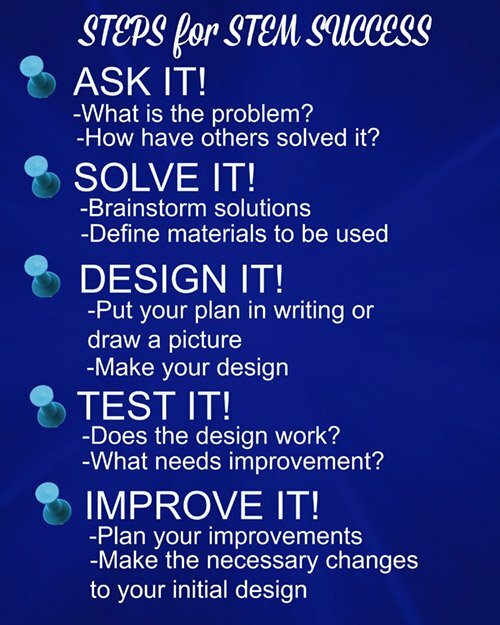 Remind kids to use the STEPS for STEM SUCCESS as they plan and engineer the free-standing scarecrow. To promote inquiry and solution-based learning, try not to give specific answers to questions, but promote critical thinking by asking open-ended questions to help the kids solve the construction challenge on their own. The scarecrow on the right was designed by a 5th grade student. 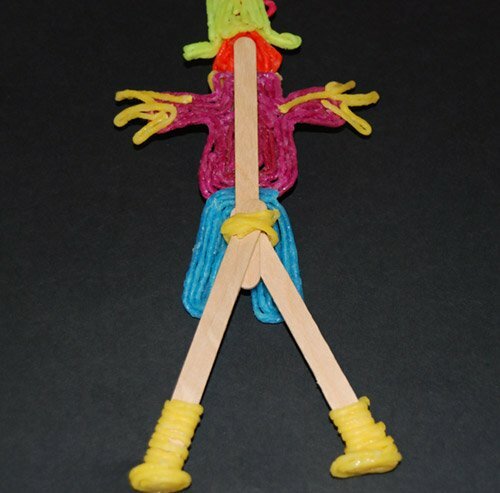 The student designed the scarecrow to be free-standing by wrapping Wikki Stix around the connection between the scarecrow and the base. 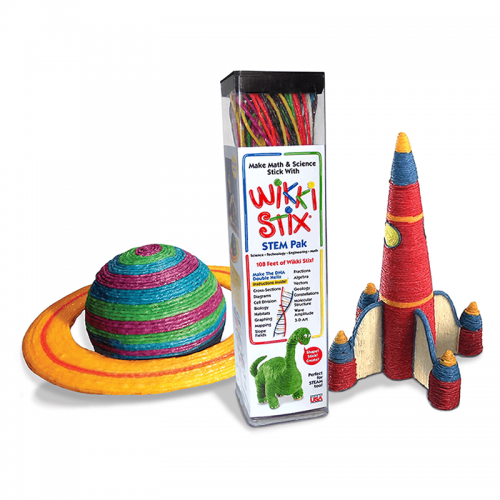 The base was a craft stick fully wrapped in Wikki Stix and adhered to the table with a Wikki Stix spiral. The “moving scarecrow” was designed by a 5th grade team. The team constructed the base from two craft sticks wrapped with Wikki Stix at the bottom. 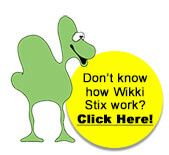 When the scarecrow was mounted to the base with Wikki Stix (see photo above), the scarecrow could then move side to side without detaching from the free-standing base. It was an awesome design! If the class has access to digital cameras, they can document the planning and construction phases of the challenge. If kids have access to iPads or tablets, they can video the responses below or take photos to create a slideshow of the challenge. There are several good websites to research the history of scarecrows. Invite the kids to research scarecrows online to see where the first scarecrows originated or to find other interesting facts. Print the response questions here (download the pdf file of Scarecrow Response Sheet here) for each student. Invite the kids to share their responses along with the final construction. Engineering a free-standing scarecrow is a FUN way to celebrate fall, but it is also an important STEM activity that requires kids to use cross-disciplinary skills in solving the challenge. When kids are offered opportunities to use critical thinking skills, they begin to develop skills they can take beyond the classroom or home and use to solve problems they encounter in their everyday world. The scarecrow above was designed by a 5th grade student. 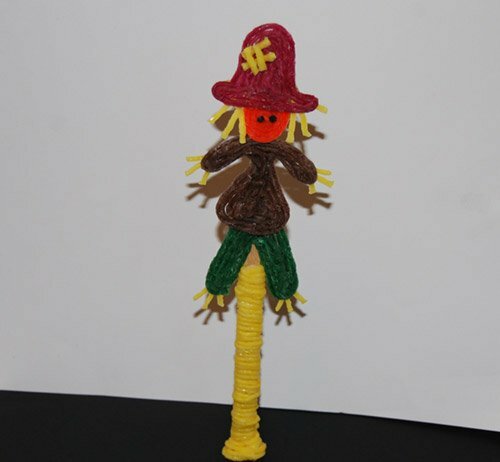 When the scarecrow was mounted to the base with Wikki Stix, the scarecrow could then move side to side without detaching from the free-standing base.